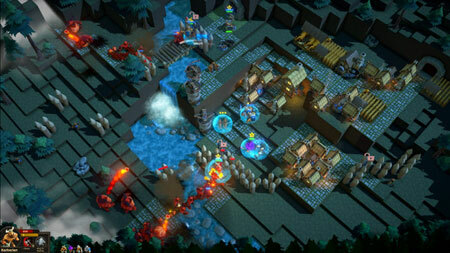 ValeGuard is a defensive strategy game developed by Lost Tower Games. The quiet hamlets of the Vale stand defenseless with no walls, no moats, not even a presentable fence. You’ll have to use your resources wisely to transform each village from farm-town to fortress. Build defenses, train troops, and hold the line with powerful heroes. Save as many towns as you can, while you travel through the Vale. Choose wisely, because each town unlocks unique assets and a hero to aid in future battles. Defeat is not the end in Valeguard. Each play you can unlock more heroes and discover new strategies to achieve victory. Gather resources, craft weapons, and train troops. Trade with merchants and buy items on the black market. Unlock new heroes through special events and quests. Confront the dark generals in a final epic battle. If you get stuck in the game, check out the video walkthrough and gameplay for the game. This entry was posted in PC Games, Walkthrough and tagged ValeGuard Cheats, ValeGuard Game, ValeGuard Gameplay, ValeGuard Guide, ValeGuard Hints, ValeGuard Review, ValeGuard Solutions, ValeGuard Strategy, ValeGuard Tips, ValeGuard Walkthrough by Marvin. Bookmark the permalink.